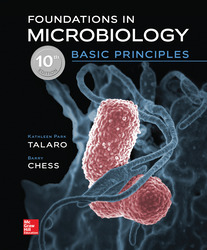 -Basic Principles offers 17 chapters of engaging microbiology coverage. Through the use of case studies and analogies, the author team thoroughly explains difficult microbiology concepts to the learner. -Connect: A highly reliable, easy-to-use homework and learning management solution that embeds learning science and award-winning adaptive tools to improve student results.apshots of the major pathogens in each chapter.